It is fair to say that with the highly regulated world we live in, for many industries, a good Standard Operating Procedure (SOP) management system and approach is the key to achieving regulatory compliance. When people are looking to implement or improve their SOP management system, it is often difficult to see the wood for the trees and SharePoint can sometimes be overlooked as the correct tool for the job, even though in most circumstances it is already in place and employees already have familiarity with it. Successful Standard Operating Procedures require collaboration across the organisation at varying levels from experts to end users. SharePoint is the perfect collaboration tool for this, making it easy to create specific sites for authoring or updating an SOP. Functions including discussion, wikis, tasks, and calendars, offer the perfect platform for pulling all the references and points of view into one place, to really achieve the best quality end result. We have all been there, told to go follow a policy or procedure, only to realise when you look for it you find multiple contradicting versions, or worse have no idea where to look or find nothing at all. SharePoint makes it much easier to have a controlled central SOP library. With a central library employees will always know where to go to find the SOP and will be able to search easily. With the very strong version control built in, they should always get to the latest one too. SharePoint makes it really easy to see changes and revert to previous versions if required. This makes it much easier to ensure the correct SOP is being referred to and used at all times as well as giving full traceability of how and when an SOP changed and evolved. Single or groups of SOP libraries are great, but there still needs to be some access control. The features of SharePoint mean that you can truly control which employees or groups of employees can view, edit, or delete documents and sets of documents. To give true flexibility on the audiences of your SOP’s, SharePoint can even be configured so that people outside your organisation and on the Internet can access it. One thing is for sure, just having an SOP in a SharePoint library will not ensure it is read or ensure it is understood. 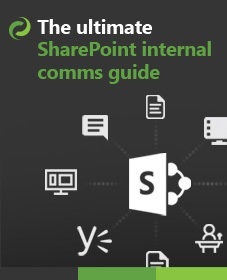 SharePoint has some great features available as standard to aid in publishing and circulating of documents. However the true value comes in the various 3rd party SharePoint Add-ons that are available to support this process such as DocRead and DocSurvey. Distribution - DocRead allows new or updated SOP’s to be distributed to any group of employees and even tracks that they have read it. Training – When DocRead is used in conjunction with DocSurvey the employee comprehension of an SOP can also be taken care off with the addition of a test. 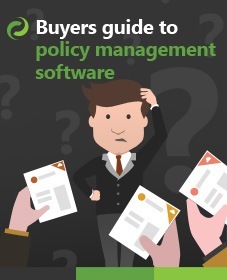 A single, easy to search database of policies and procedures. Make it much easier to demonstrate that you are doing the right things. Once activated SharePoint auditing can track key events and interactions with your policy, again helping in your compliance efforts. If SOP’s are created well, are easy to find in SharePoint, and distributed and trained effectively using SharePoint add-ons like DocRead and DocSurvey, this will go a long way to tightening the employee execution of these SOP’s; thereby ensuring that your company remain compliant and can demonstrate compliance.